It looks like HMD Global has a new 2018 Nokia 3 smartphone in the works. The handset was recently discovered by Roland Quandt. The device is likely to launch some time this year, you can see the tweet about the handset below, unfortunately there are no specifications on this new device. The new device is expected to get a number of upgrades over the current handset. 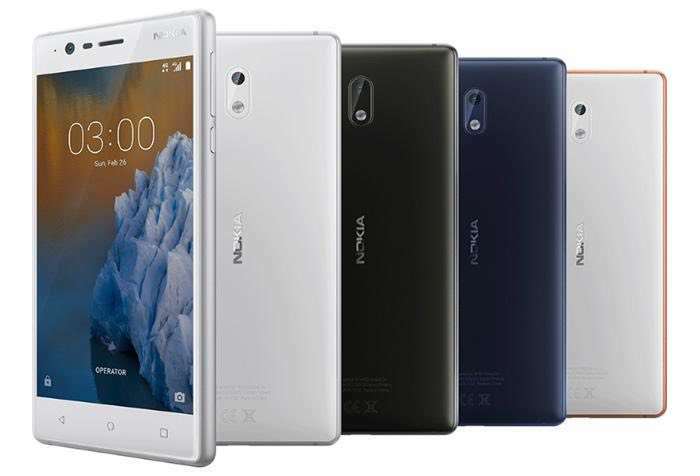 The existing Nokia 3 comes with a 5 inch display with a HD resolution of 1280 x 720 pixels and the handset also comes with a MediaTek MT6737 processor. Other specifications include 3GB of RAM and 16GB of storage, plus a 2630 mAh battery and front and rear cameras. On the back there is an 8 megapixel camera for photos and videos and on the front there is an 8 megapixel camera for Selfies. As soon as we get some details on the specifications of the new device, we will let you guys know.